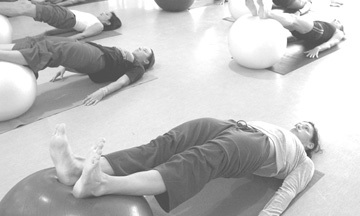 Pilates exercises challenge strength, flexibility, coordination and balance. They are performed with attention to form, efficiency, stablization and pelvic alignment. Focus is on breath, core power, joint mobility and sequential movement of vertebrae. This mat class is taught without a Reformer.